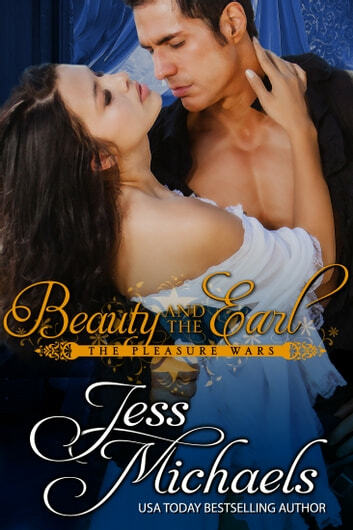 Liam, the Earl of Windbury, had everything when he held his secret lover in his arms. Until a feud between their families left her dead, his body broken, and his sister married to his bitter enemy. Racked with guilt, simmering with rage, he's spent a year in seclusion, seeing no one except a few servants as he does his best to forget the past and patently refuses to think about any kind of future. When courtesan Violet Milford enters Liam's lair, she's on a secret mission to gather information for Liam's desperate sister, who fears for his sanity, even his life. What she finds is a man scarred inside and out, whose dark, controlling sensuality hides the kind, wounded man within. Violet awakens a desire more powerful than Liam has ever known, and her stories weave a spell that begins to work its way past his defenses. But when the truth inevitably comes out, it could well destroy the love that is saving them both. This book is the third book in The Pleasure Wars series.